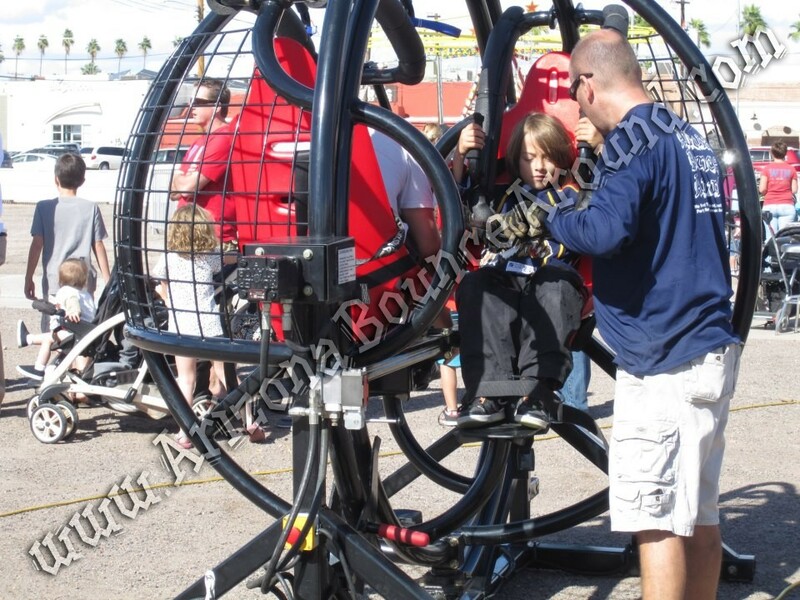 Our 2 seat gyroscope is an amazing carnival ride sure to thrill any crowd with both kids and adults. 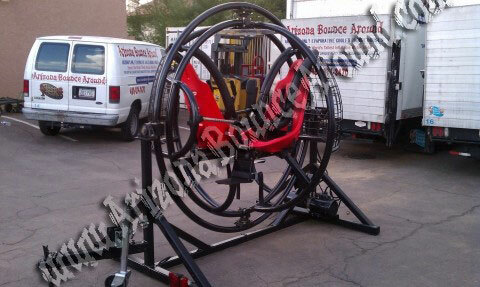 This amusement ride is as much fun to watch as it is to ride and will be sure to create a big line at your event. All of our carnival rides are state inspected and required in the state of Colorado. Dont rent carnival rides from anyone that does not have state inspected carnival rides. Our human gyroscope is state inspected and ready for use. Don't waste your money on a single seat or stand up human gyroscope when you can have the 2 seat gyroscope ride. 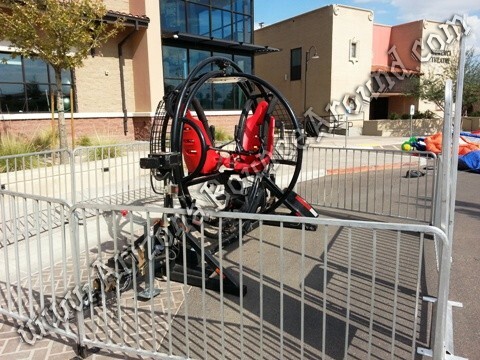 This powered human gyro is staffed by us and requires a standard electrical outlet to operate. If you're looking for a great amusement ride for kids and adults then call us today. Gyroscope riders must be at least 48 inches tall to ride. Maximum height 6' 2" and maximum weight is 225 pounds per person. Looking for teen party ideas? 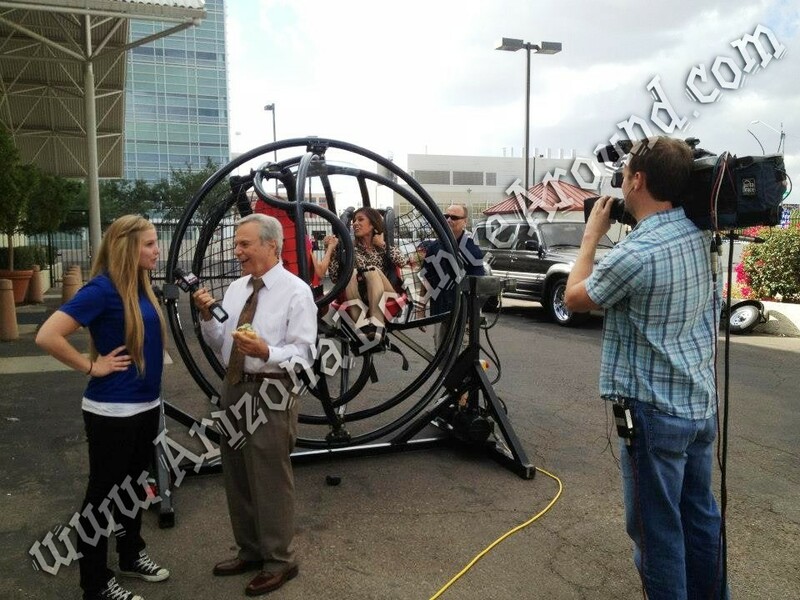 Rent a gyroscope and let the fun begin. This is the perfect carnival ride rental for teens. The human gyro is used for astronaut training and simulates weightlessness. Watch the video of our gyroscope in action or stop by our Denver facility to see it in person. 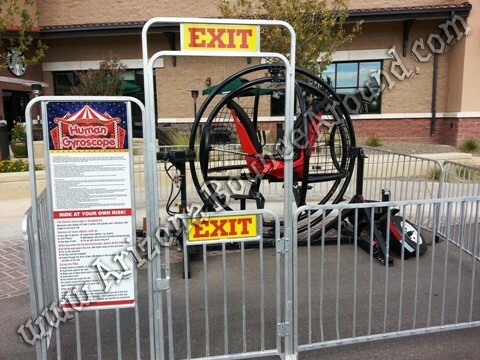 We have a great selection of carnival rides for rent in CO.
Our Gyroscope amusement ride price includes 1 operator to spin the Gyro Extreme. Requires 2 staff for bigger crowds and may require fencing for commercial events that is not included in the gyroscope rental price. 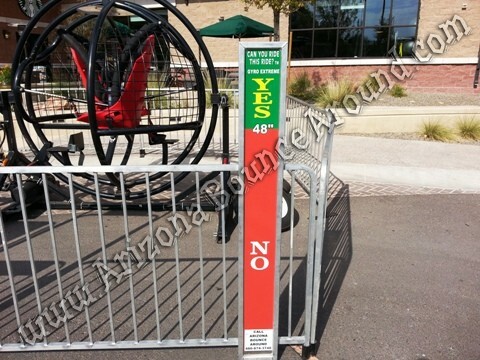 Our human gyroscope comes complete with fencing, height sign and complete rules posted on the fence. 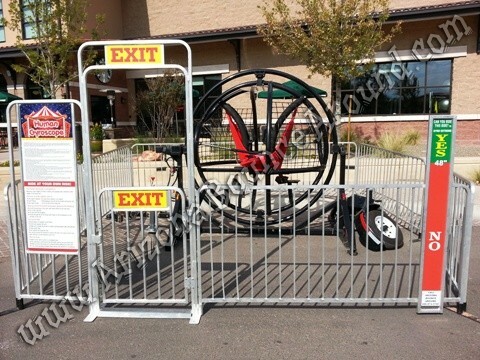 Not all Gyroscope rental companies provide all the safety features as Gravity Play Events so be sure to ask questions. We proudly display photos of what you will receive and not clip art with a cheap price.